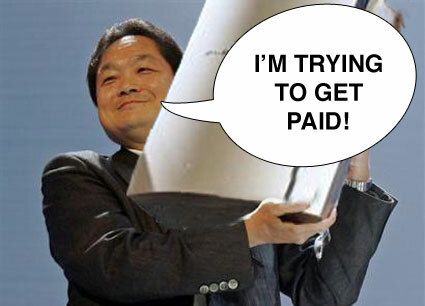 In the beginning, it was easy to try and discredit Sony with their shiny, black gaming console. The PlayStation 3 was supposed to smuggle in the other high-def movie format Blu-ray, just like the PS2 originally moved DVD’s closer into the home. But the difference back then was that DVD’s were already an established medium, unlike the current generation of HD discs. But now that Warner backs Blu-ray exclusively, and the price of PS3’s dropping, Sony’s entertainment machine has become virtually future-proof thanks to the new 2.0 profile specifications. As this Ars Technica post outlines, the 2.0 profile changes the face of compatibility. Requiring two secondary decoders, 1GB of local storage for updates and content, and an Internet connection, it’s easy to see how early adopters of Blu-ray players will be left out. The PlayStation 3, however, boasts all the above features allowing for future updates. After all, 3.5 million Blu-ray machines have been homeward bound, but of that number 15% are going to be outdated with this new 2.0 shift. Of course, 85% of those players belong to Sony. The PS3 has all the bells and whistles to contend with future updates, unlike early Blu-ray machines that are unable to keep up. And with the format war all but over, the PlayStation brand is sitting pretty. It’s the machine that was easy to write off, but now PlayStation 3 is shaping up to be the de facto Blu-ray player of the future (oh yeah, and it also plays videogames).